This is a list of books that I have read starting from 2016. I read Good to Great in January 2016. An awesome read sharing detailed analysis on how Good companies became Great. Although this book is about how companies became great but one could apply a lot of the learnings on themselves. Concepts like level 5 leader, hedgehog concept, the stockdale paradox are equally applicable to individuals. 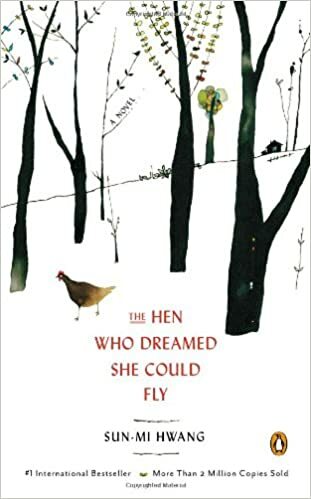 In February 2016, I read The Hen Who Dreamed She Could Fly. This short book is an amazing and inspiring story of a hen Sprout who wanted to live a normal happy life outside of a coop. The lesson I learnt from this book is that you have to break shackles and work towards a life that you want to live. If you believe in your dreams and don’t give up then you will live a life worth living. In May 2016, I read How to be Bored by Eva Hoffman. Next, book that I finished is The Man From Pakistan by Douglas Frantz and Catherine Collins. Next, book that I read is You Have Infinite Power by Berlow, Melella Jr, Palumbo, and Wollman. Next, I finished Man’s Search for Meaning by Viktor E Frankl. On November 6th, I finished reading The Monk Who Sold His Ferrari by Robin Sharma. Very good read that might bring purpose and peace to our chaotic life. 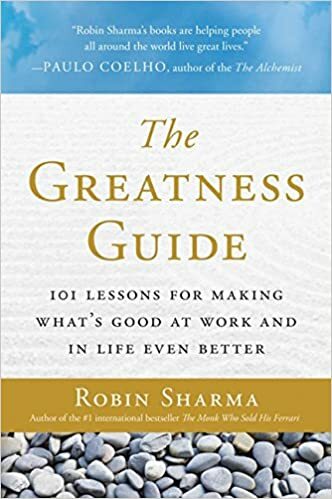 On 19th December, I finished reading The Greatness Guide by Robin Sharma. In January 2017, I finished Leadership Wisdom From The Monk Who Sold His Ferrari by Robin Sharma. I really enjoyed his book. He shared 8 timeless lessons to improve leadership skills at both personal and organisational levels. In January 2017, I finished Sprint: How to Solve Big Problems and Test New Ideas in Just Five Days. Book offers great advice on how to validate and test ideas in 5 days. If you are interested in how to test your product ideas quickly and correctly then do yourself a favour and buy this book. In February 2017, I read The Lean Startup by Eric Ries. I found Sprint book (mentioned above) more practical and useful. No doubt Lean Startup is a good book but I think if you want to test your ideas quickly Sprint book offer better insights. In March 2017, I read The Peter Principle by Laurence J Peter and Raymond Hull. It is a good short read that brings to light an interesting observation that everyone rise to his or her level of incompetence. In May 2017, I read Eat That Frog by Brian Tracy. It is a practical book that teaches you how to organize and prioritize your tasks. I have started using the practices and they are helping me. Give it a try! In July 2017, I read The Power Of Focus by Jack Canfield, Mark Victor Hansen, and Les Hewitt. The book is easy to read and practical. It offer ten advices that can help you achieve quality success in life. Book gave me enough to ponder on and apply in my daily life. I plan to read it again in future. In July 2017, I read Grit: The Power Of Passion and Perseverance by Angela Duckworth. This book will help you get over from the talent syndrome. This book eloquently conveys the message that with hard work and perseverance you can achieve the most difficult of your goals. This book is full of real examples and anecdotes that will persuade you to start focussing on your strength and work towards your goal. Great read! In August 2017, I read Malcolm Gladwell Blink. This is an interesting read that talks about power of unconscious thinking. A lot of time we have a hunch on something that we can’t easily describe. We take decisions based on gut feeling. A good and different read in the time when we are told to overthink every decision we make. In September 2017, I read Rework written Jason Fried and David Heinemeier Hansson. The book offers great unconventional wisdom on running your own company. It talks about how to competitors, culture, hiring, work prioritisation, marketing and many other aspects of an organisation. This book is very easy to read and you will enjoy reading it. 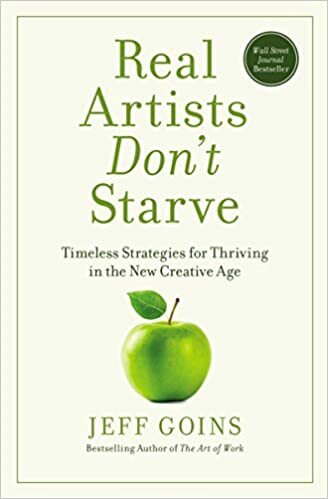 In August 2018, I finished reading Real Artists Don’t Starve: Timeless Strategies for Thriving in the New Creative Age by Jeff Goins. The book has an interesting take on making money from the creative work you enjoy doing. Author talks about life of Michelangelo, an Italian sculptor, painter, architect. Michelangelo unlike many artists of his time made money from his work and lived a successful like. In November 2018, I read The Compound Effect by Darren Hardy. I wrote a post on it that you can read as well. In November 2018, I finished reading Drive: The Surprising Truth About What Motivates Us by Daniel Pink. I wrote a post covering one of the lessons I learnt from the book. In March 2019, I read The War of Art: Break Through the Blocks and Win Your Inner Creative Battles by Steven Pressfield. In April 2019, I read Bad Blood: Secrets and Lies in a Silicon Valley Startup by John Carreyrou.